Philip (Phil) A. McCarty advises clients, predominantly large publicly held companies, on a wide range of domestic and international tax issues, including issues relating to global joint ventures, financial products, tax accounting and lease financing. 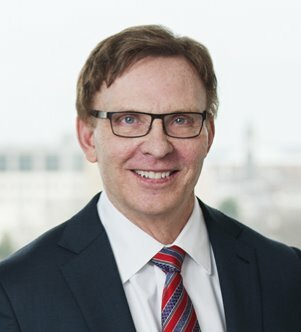 Phil returned to the Firm after serving as a partner in the Washington National Tax Services Department at a prominent global accounting firm, where his practice focused on taxation of partnerships and international taxation. He also was associate tax legislative counsel in the Office of Tax Policy, US Department of the Treasury and law clerk for Judge William M. Fay of the United States Tax Court. Currently, Phil is an adjunct faculty member at Georgetown University Law Center, Washington, DC, where he teaches classes in international taxation, taxation of partnerships, income tax accounting and consolidated returns.